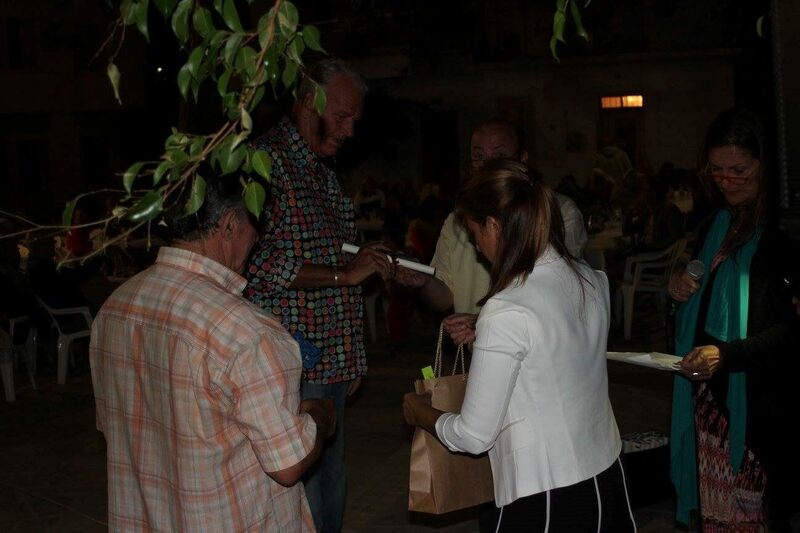 On the 24th of September, for the 5th time the World Day of Tourism was celebrated on the Main Square of Mirtos. 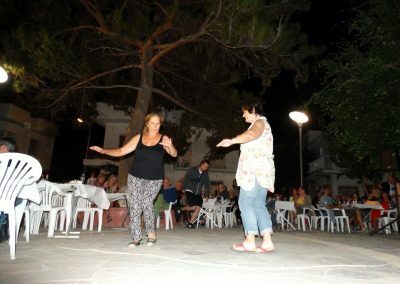 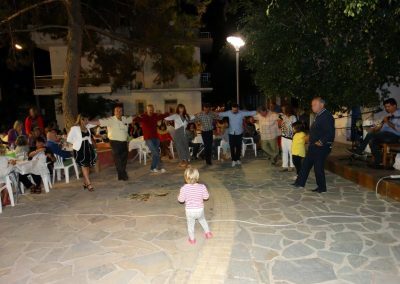 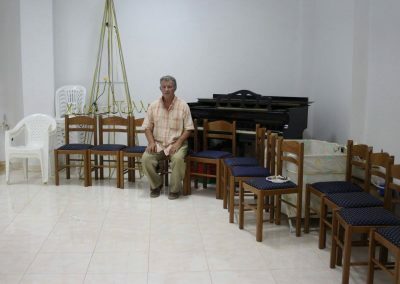 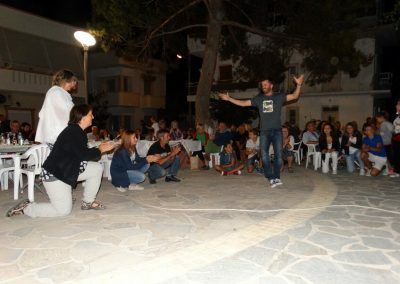 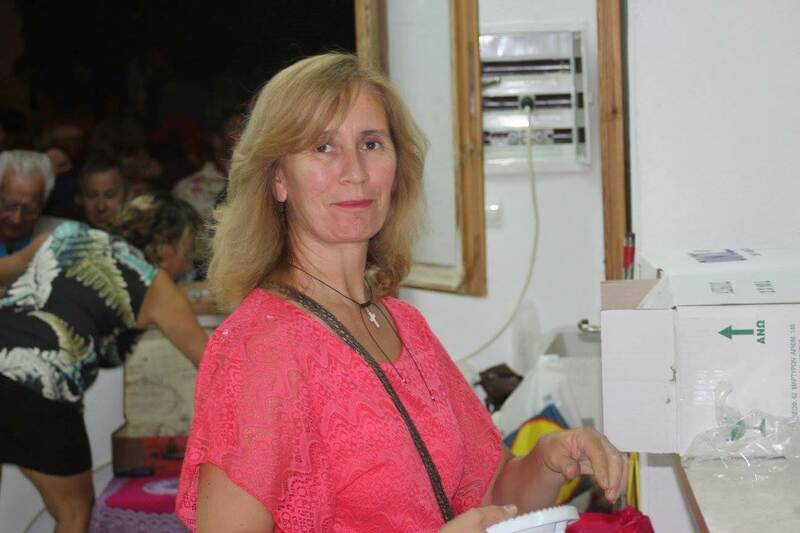 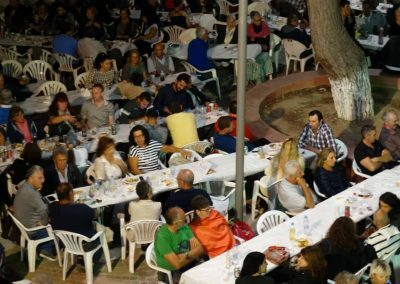 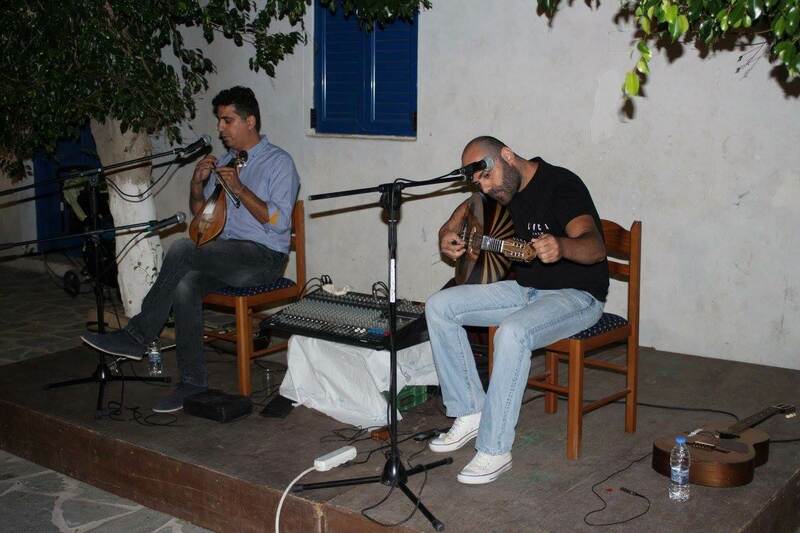 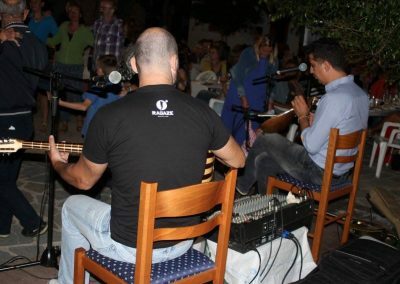 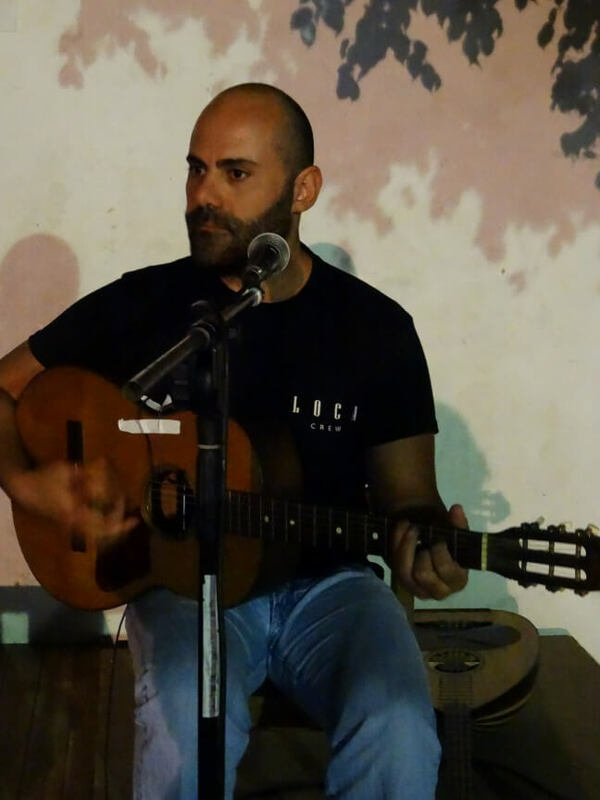 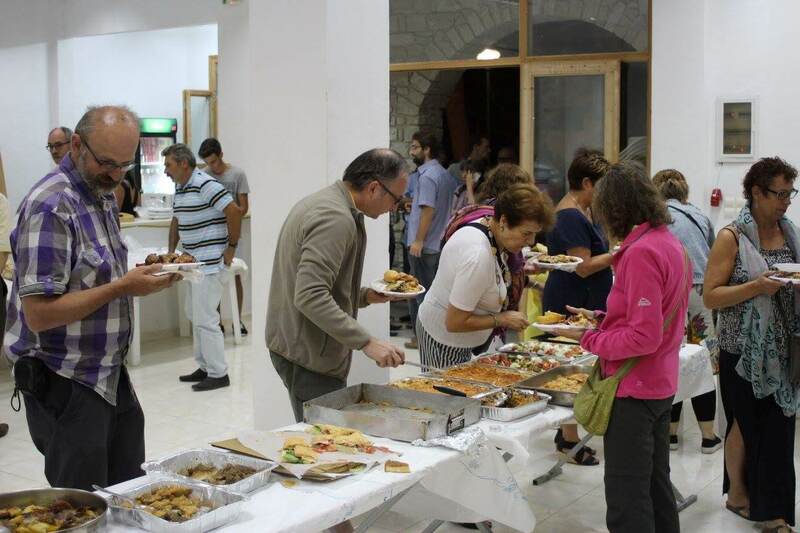 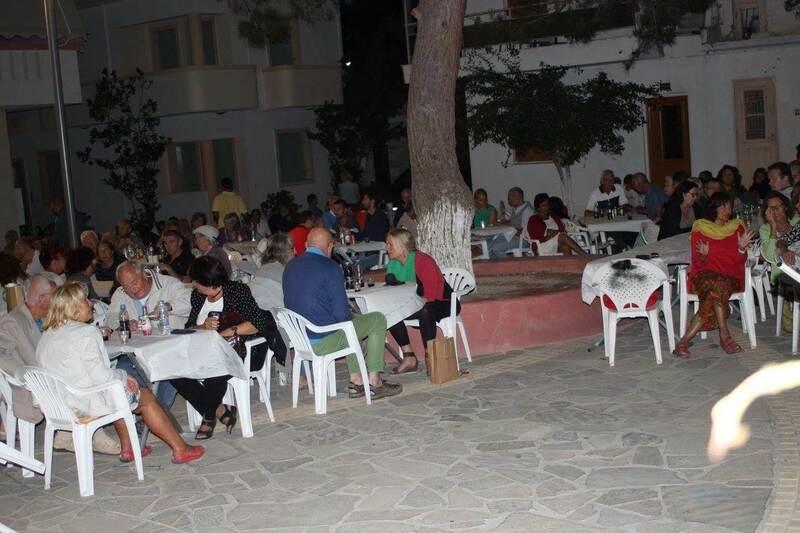 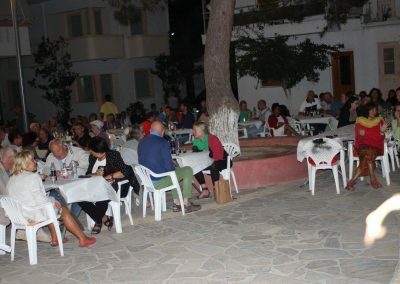 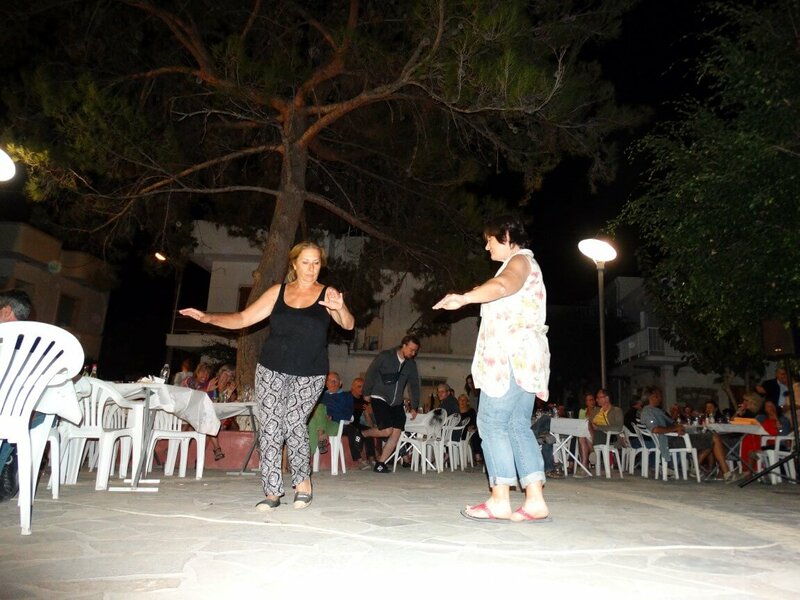 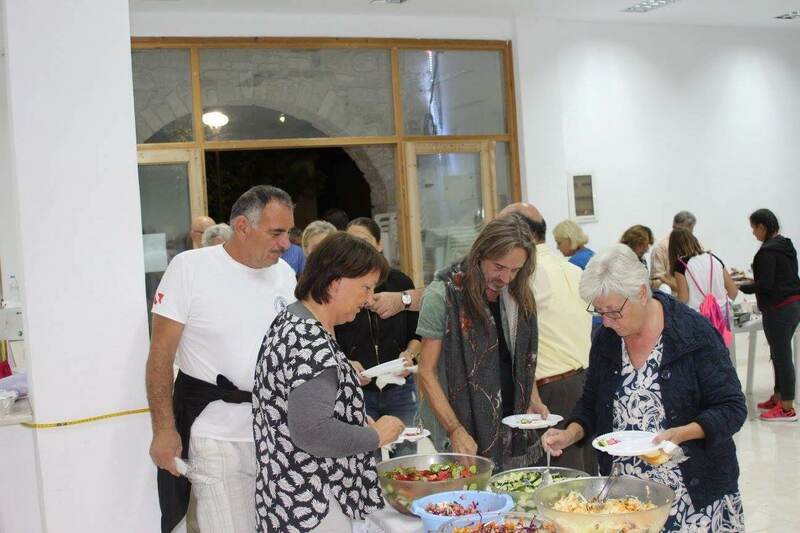 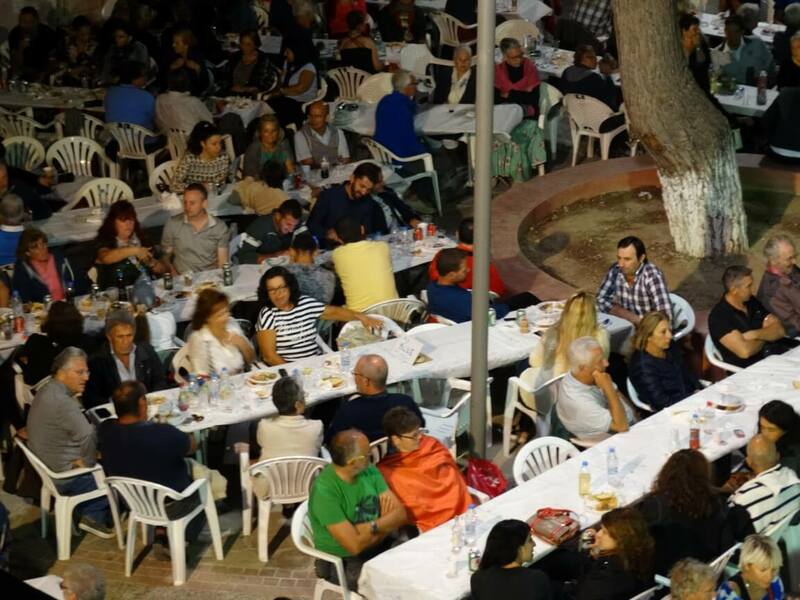 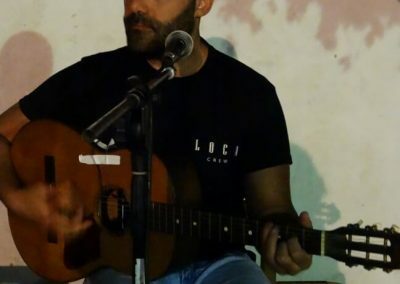 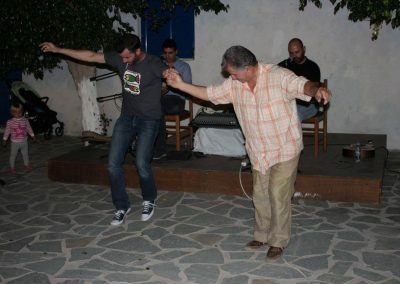 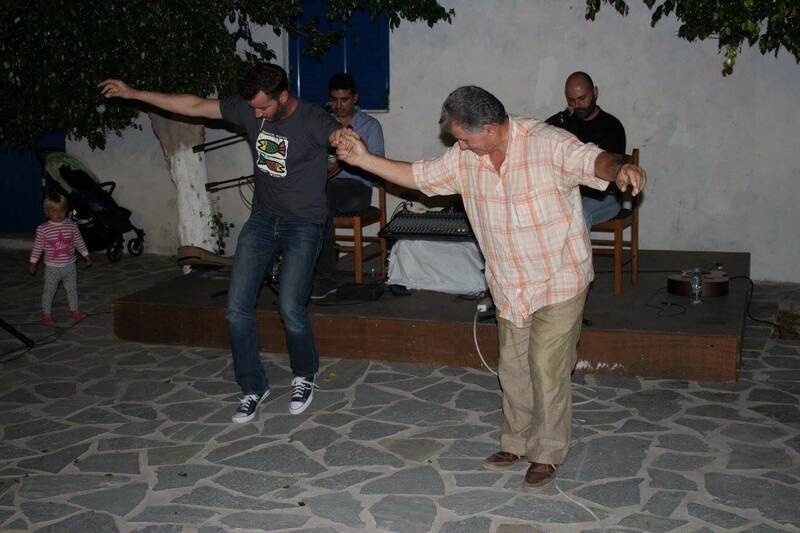 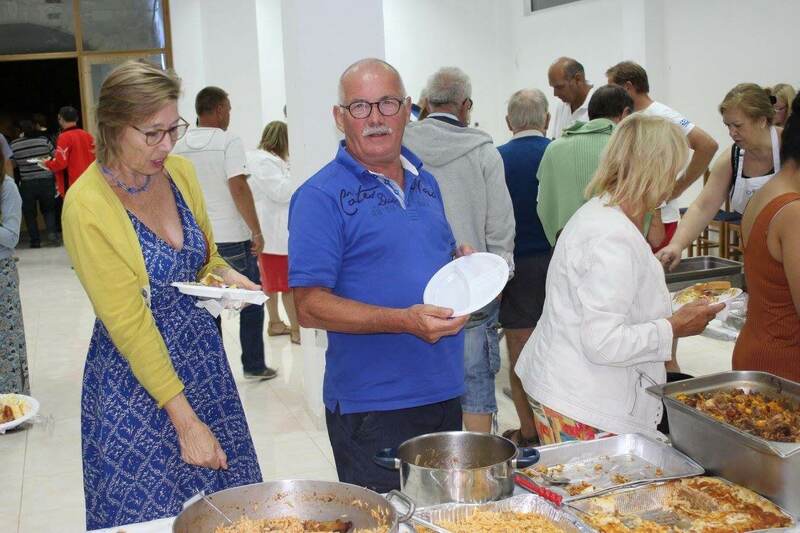 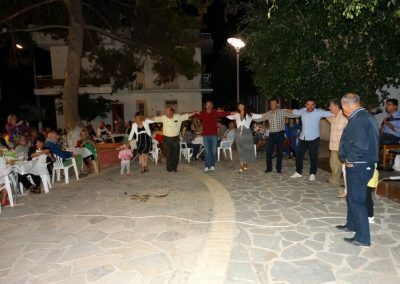 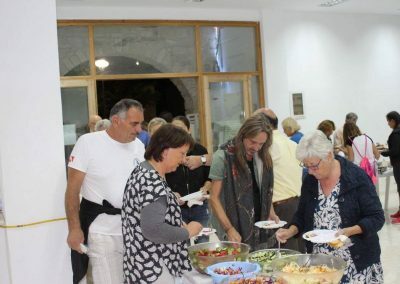 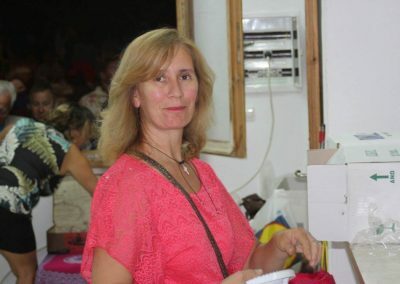 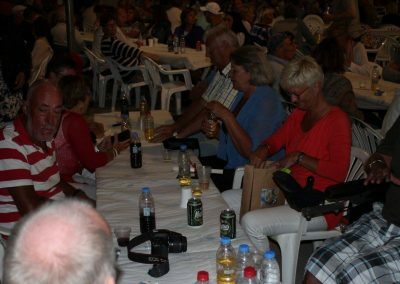 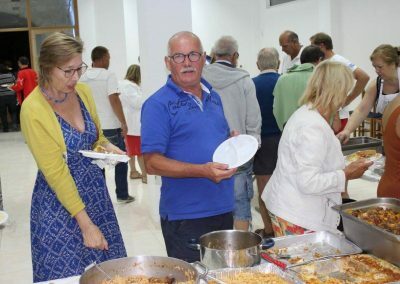 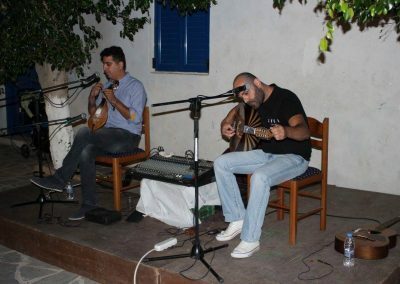 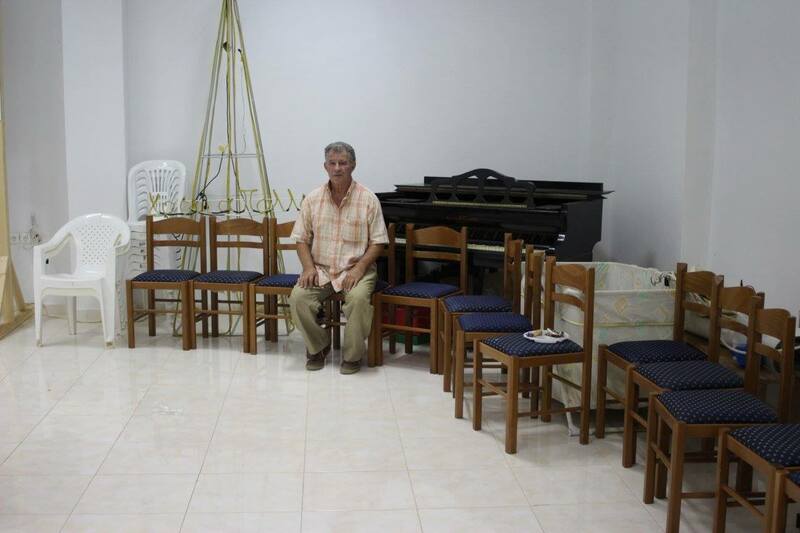 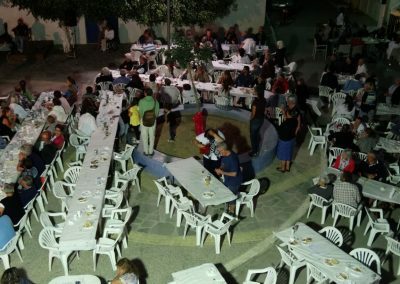 More than 500 people attended, tourists as well as inhabitants of Mirtos and the surrounding villages. 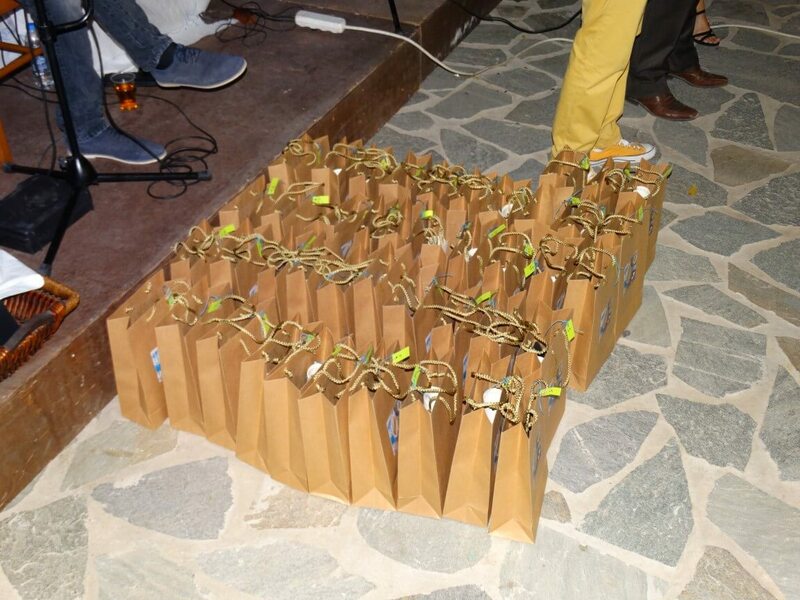 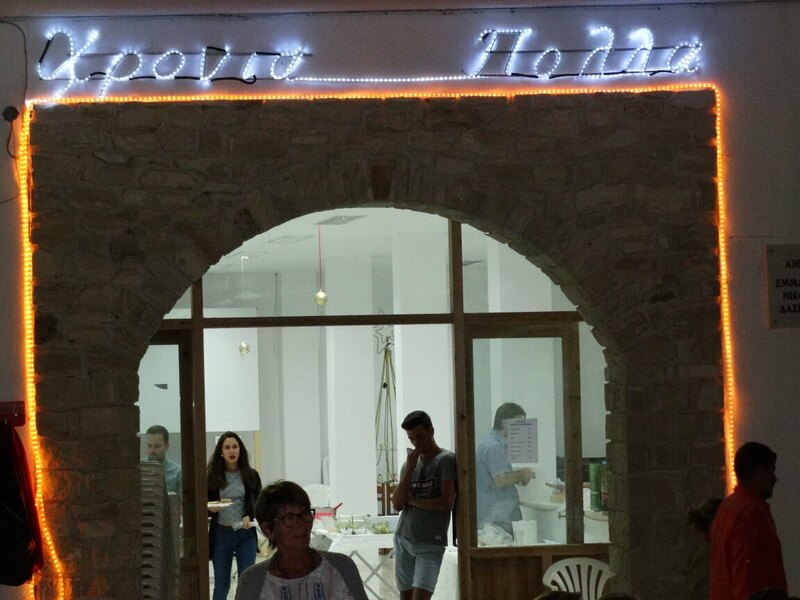 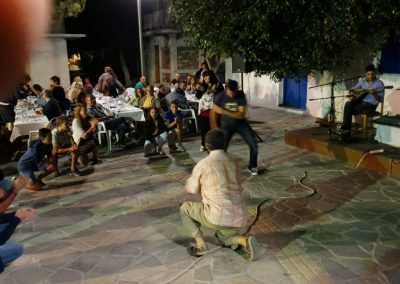 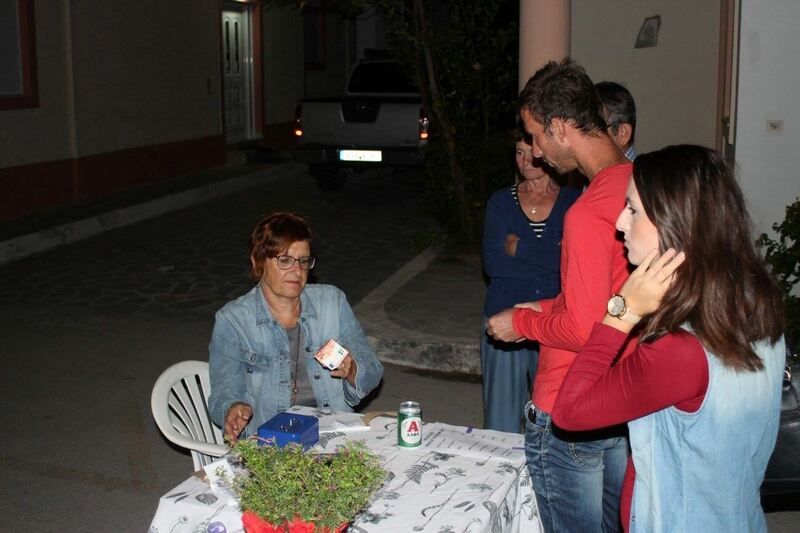 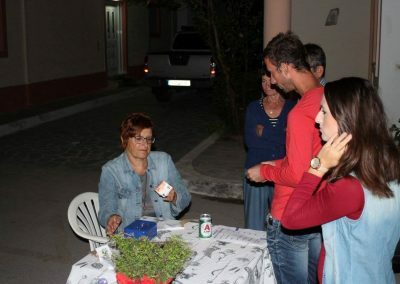 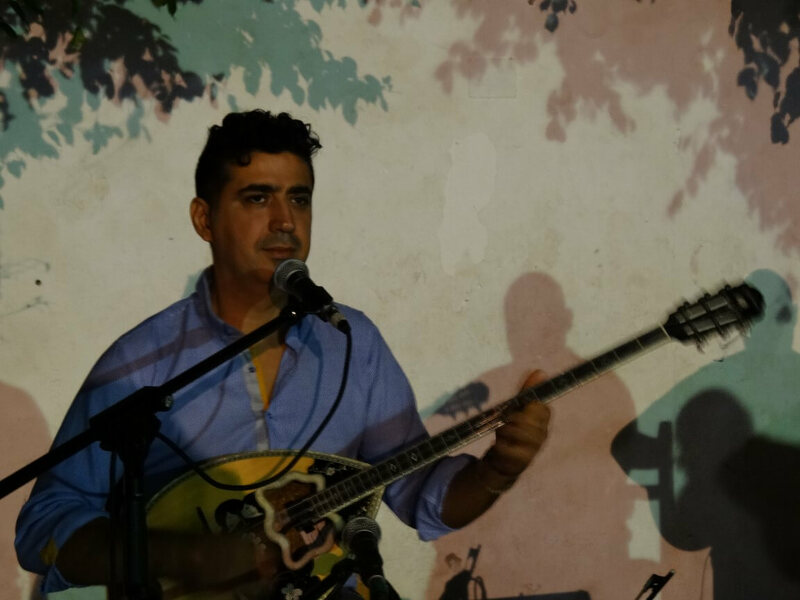 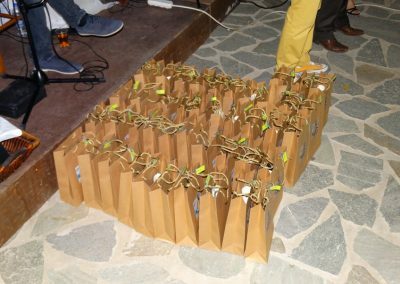 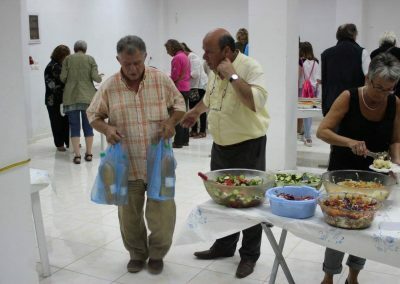 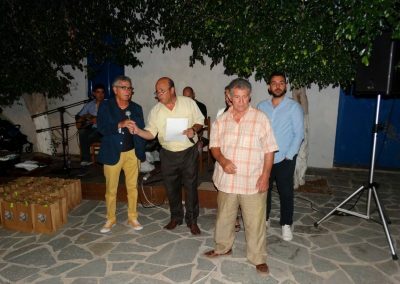 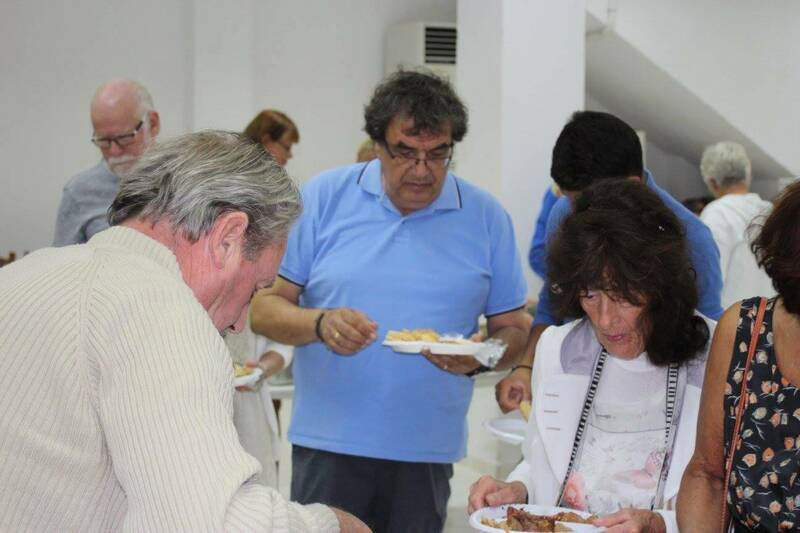 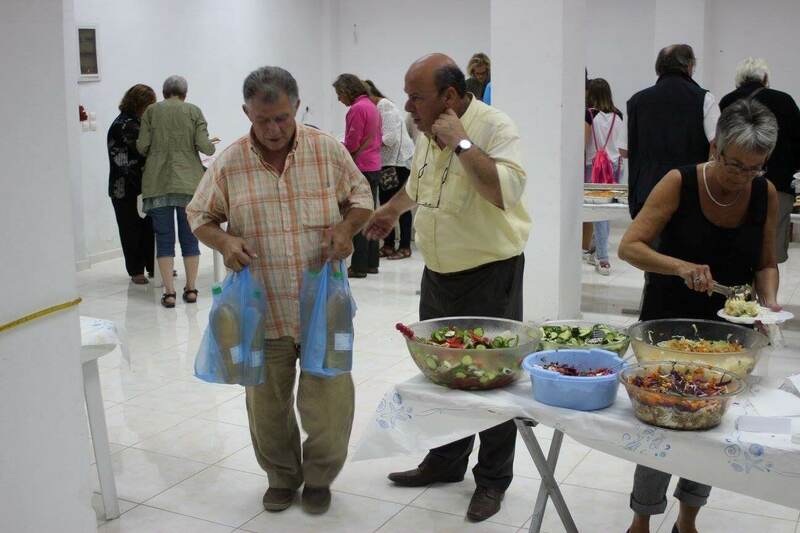 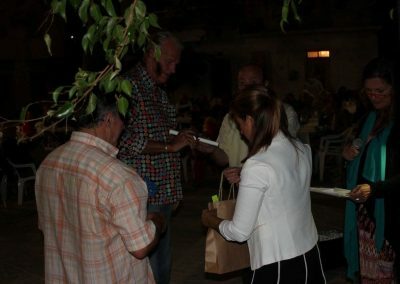 Returning visitors of Mirtos, who were here five times or more, were honored with a goodie-bag, containing a bottle of olive oil, a bottle of raki, the DVD “A Glance at Yesterday” by Vaggelis Fragiadakis, and some other treats. 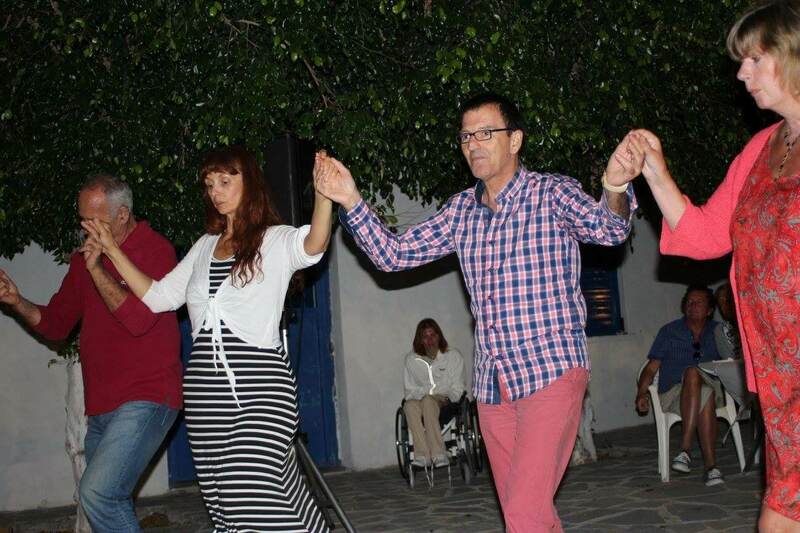 The versatility of Giánnis Paximadákis and Vaggélis Syligárdos was amazing: they brought us Rebétika, Laíka, Nisiótika, Ipirótika and Kritikó, and interacted with the dancers in a great and musical manner. 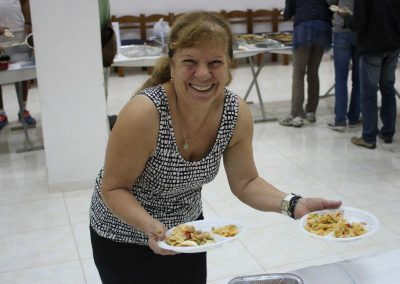 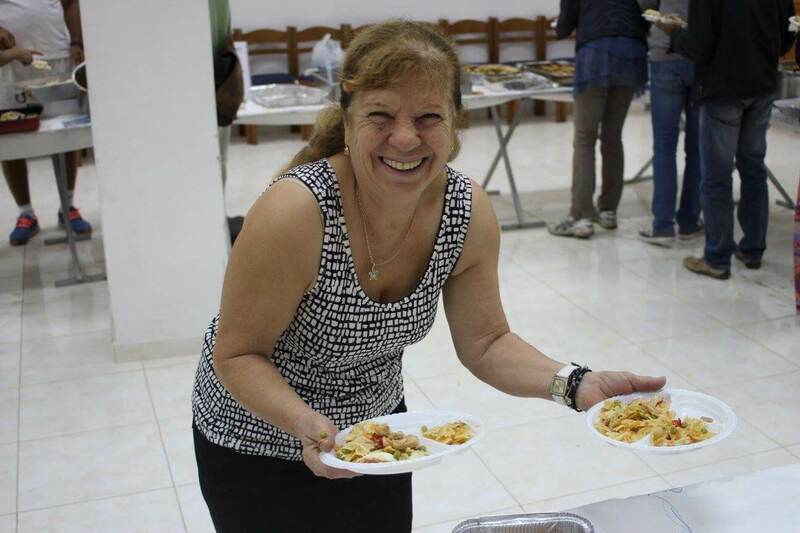 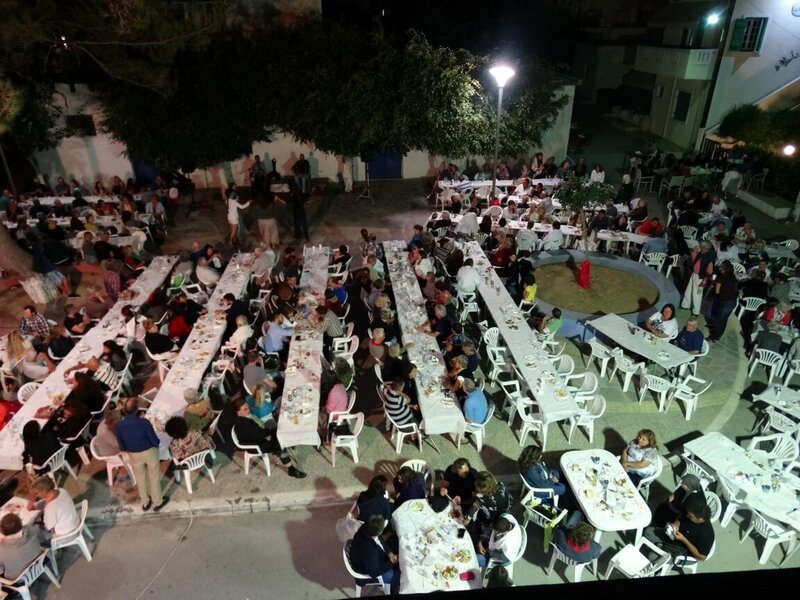 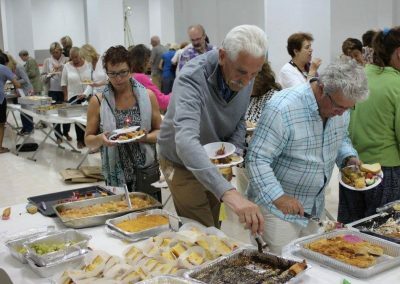 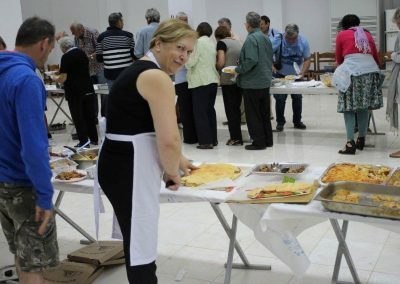 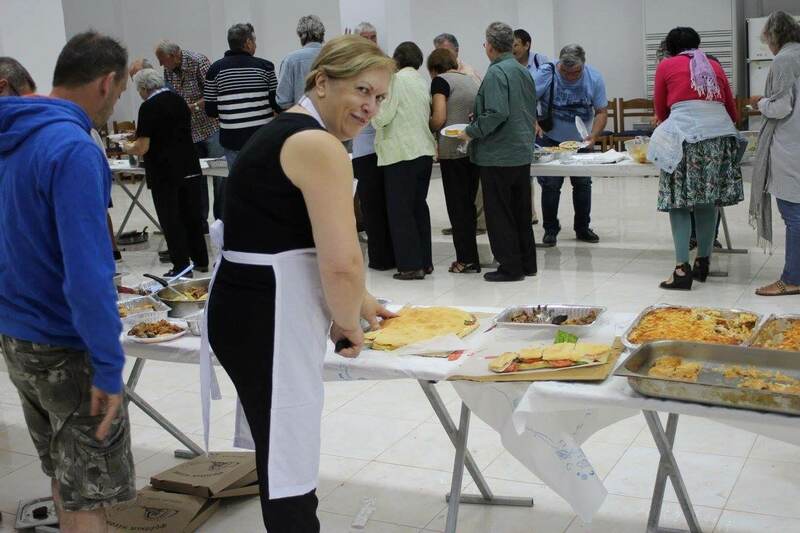 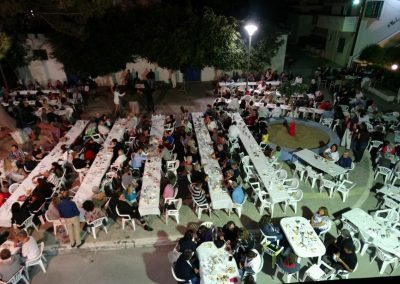 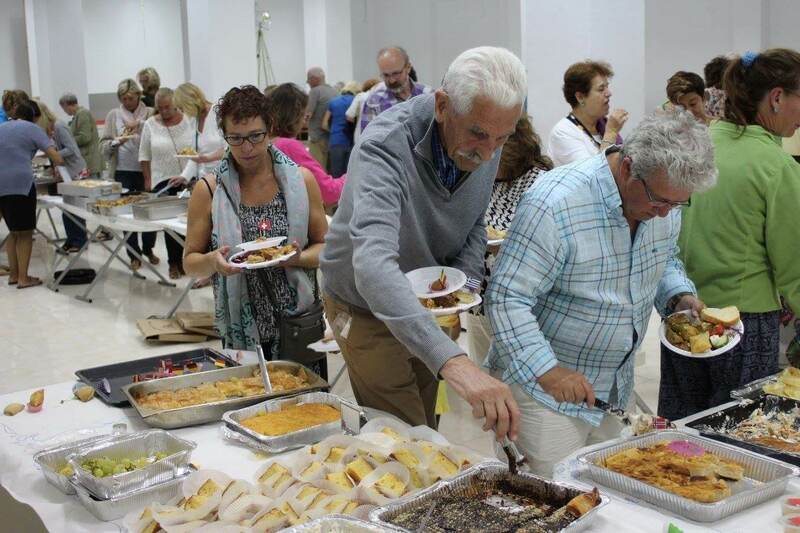 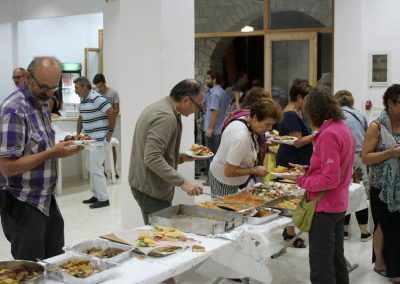 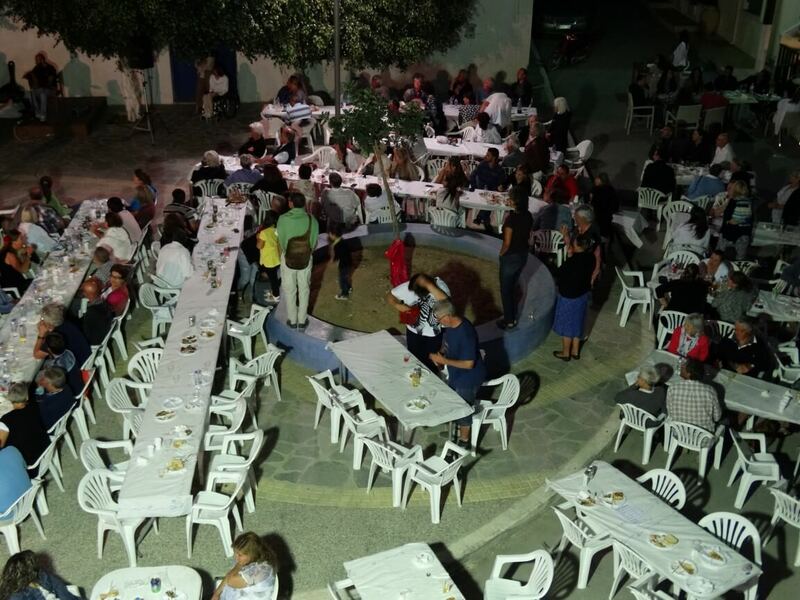 We thank all the volunteers, the cooks who made the tremendous amount of food, the organizers, the musicians and all the visitors for an evening full of joy. 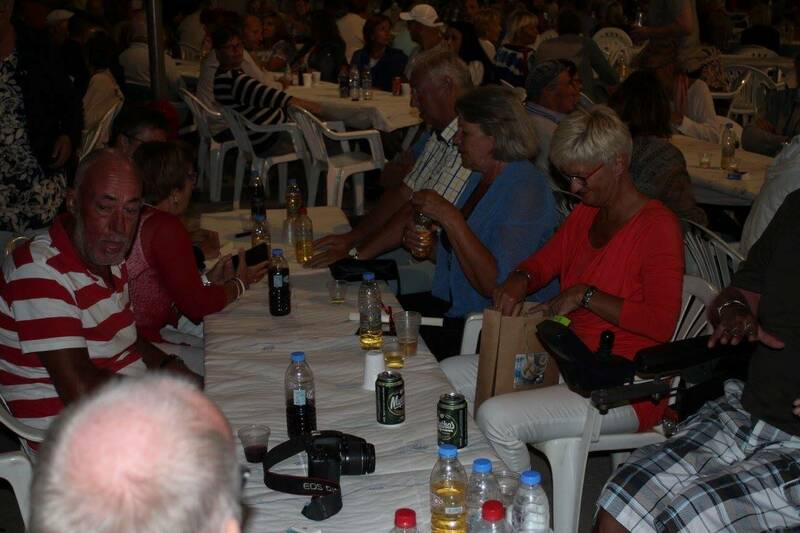 Pictures by Jan van der Sleen, Angela Sturmayr and Jurrie Eilers. The video below was made by Jos van Schie.